and Thomas Jefferson were privileged elite as proof of my ‘error’. He also offers his opinion that the true principles of the revolution shaped a nation “formed in resistance to the idea that a foreign government ought to rule over and levy taxes against a population that had no representation in that government.” I don’t dispute the revolution had something to do with “taxation without representation” but until the revolution was over, Americans, like Canadians at the time, were British citizens and King George and Parliament were not a foreign government but were ‘our’ government and the law of the land. An equal number of citizens in the colonies supported the King, the country was divided in its view of elite rule as it is now. The rebellious colonists saw the King as an unjust ruler who governed by abuses and oppression, and they resisted his rule. Their notions of independence were stimulated by a philosophical movement which argued that the existing established order erroneously believed its rule was mandated by ‘divine will’ putting some men above others, insisting that only a certain few were fit for rule. John Locke, at the center of this movement, argued that men could rule themselves. Perhaps the letter writer is unaware of Tom Paine’s writings, “To say that any people are not fit for freedom, is to make poverty their choice, and to say they had rather be loaded with taxes than not. If such a case could be proved, it would equally prove that those who govern are not fit to govern them, for they are a part of the same national mass.” (The Rights of Man, 1792). Paine’s argument is, that as Jefferson said, “all men are created equal, that they are endowed by their Creator with certain unalienable Rights, that among these are Life, Liberty and the pursuit of Happiness. 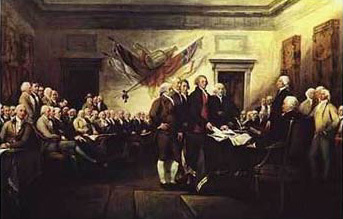 –That to secure these rights, Governments are instituted among Men, deriving their just powers from the consent of the governed, –That whenever any Form of Government becomes destructive of these ends, it is the Right of the People to alter or to abolish it, and to institute new Government.” The letter writer should have picked up that I believe that we are ruled by an increasingly powerful elite that is pushing the tax burden on to the middle class, expecting the wage earners “to be loaded with taxes” and reducing the investment in the public good in order to further enrich themselves. We need a change in direction, and today, as then, some of the elite see the need for the change just as Washington and Jefferson did in their day. Or perhaps the letter writer is unaware that George Washington refused to be named King because he believed the revolution should found a government based on laws, not men. 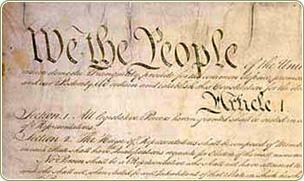 Perhaps the letter writer believes that when the constitution framers established the new law of the land they really meant “We the Few” instead of, “We the People of the United States.” Perhaps he believes they did not really mean, “in Order to form a more perfect Union, establish Justice, insure domestic Tranquility, provide for the common defense, promote the general Welfare, and secure the Blessings of Liberty to ourselves and our Posterity, do ordain and establish this Constitution for the United States of America.” Maybe they didn’t really mean to “establish Justice, insure domestic Tranquility, or promote the general welfare.” Today our government, state and federal, seem to have forgotten that constitutional mandate to promote the general welfare, to rule for the many, not the few. 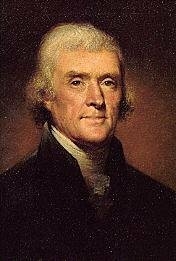 The fact that Jefferson and Washington were elites does not mean they could not see the wisdom of establishing a government that would serve the interests of its people. Does the letter writer believe that Lincoln, by describing the people, really meant the privileged few? Did Lincoln mean that the working people should survive on low wages and by their labor pay the taxes that increased the privilege of those who had wealth? Did he mean government should be small and preserve the rights of the elite and that’s what men have fought and died for? The nature of our Republic, in case the letter writer missed it, has been under debate for over 200 years, but the framers were explicit in their language. I do not believe it has been established that our government’s primary function is to protect the rights and expand the wealth of the privileged few at the expense of the rest of us. That is why we have elections instead of inherited seats of government. As to the intellectual and historical sources of my ideas, they blossom from fertile American soil. 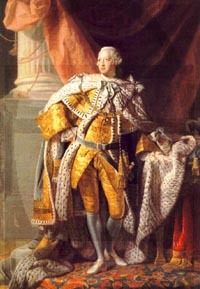 Why did King George feel his subjects in America should be taxed? 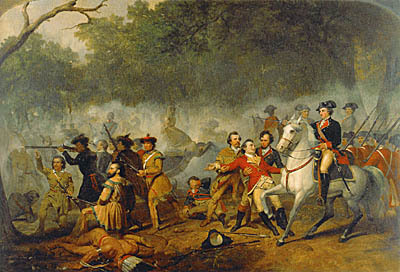 It was his contention that because he was liberating them from his old enemy the French, American colonists should be grateful and be willing to pay for his protection. The problem was that many Americans saw the French and Indian war for what it was, a land grab that benefited the Empire and did not benefit them. They would have preferred peaceful relations with their neighbors. The colonists did not dance in the streets or throw roses to liberating British troops. 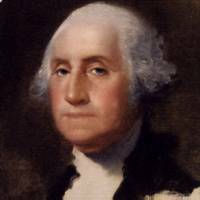 Instead, they resented the militarization of their life, a war forced upon them without their consent, and King George’s demands that they pay for a war they did not ask for. Perhaps Republicans have difficulty with this scenario because it hits a little too close to home? “Where do we go from here?” Martin Luther King Jr.